Are your gutters blocked? Or maybe your Downpipe is blocked?Are your gutters overflowing? If the answer is YES! Then you need your gutters cleared! Leaking and overflowing gutters can cause water damage to your home. 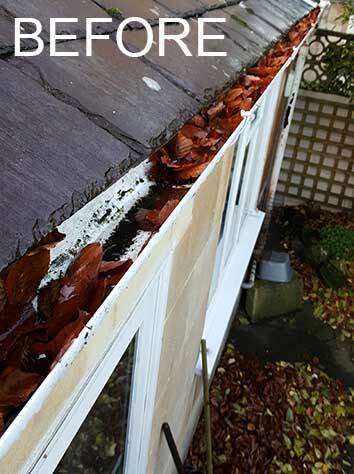 Gutters need to be regularly maintained and kept clear of leaves, debris and moss. We recommend that you have your gutters cleared once a year, unless your property is close to large trees, we then recommend clearing your gutters twice a year. Fortunately Barnes Property Services are experts at clearing gutters! 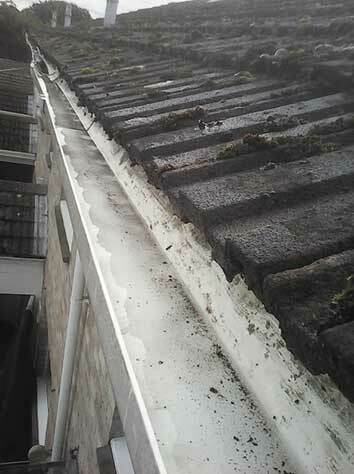 We have been clearing and cleaning gutters for many years and have a lot of experience with dealing with blocked, overflowing gutters and blocked downpipes..
Barnes Property Services can clear your gutters of leaves, moss, plants and all other debris. We can also repair your gutters if required. Exterior gutter & fascia cleaning can be added for a complete gutter clean and clear. We clear gutters in the following areas: Bath, Corsham, Chippenham, Bradford on Avon, Trowbridge, Melksham and the surrounding villages. Our prices are extremely competitive. 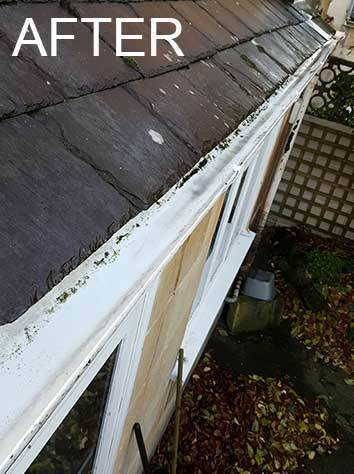 If you require our gutter clearing service, call now for a quote, we can usually give a price for clearing and cleaning your gutters over the phone.